I know I'm disappointing my friend with this post. I sort of told her I would be posting about my Circus Animal cookie cupcakes today but... 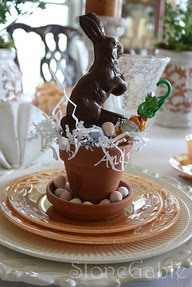 I changed my mind :) I'm bringing you a virtual Easter get-together instead. Circus Animal cookie cupcakes to be posted on Monday. This Sunday is Easter and I'll be celebrating on Saturday while my family is in town from Wisconsin. They fly out on Easter. If I would have been planning WAY ahead like a good party diva does, I'd be having my step-kids over on Sunday for a dinner. However, I let Easter sneak up on me. 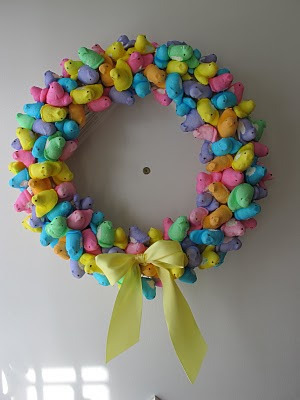 Peeps being my favorite Easter candy, the kids would be greeted at the door by a Peeps wreath. Tutorial found on Our Best Bites. 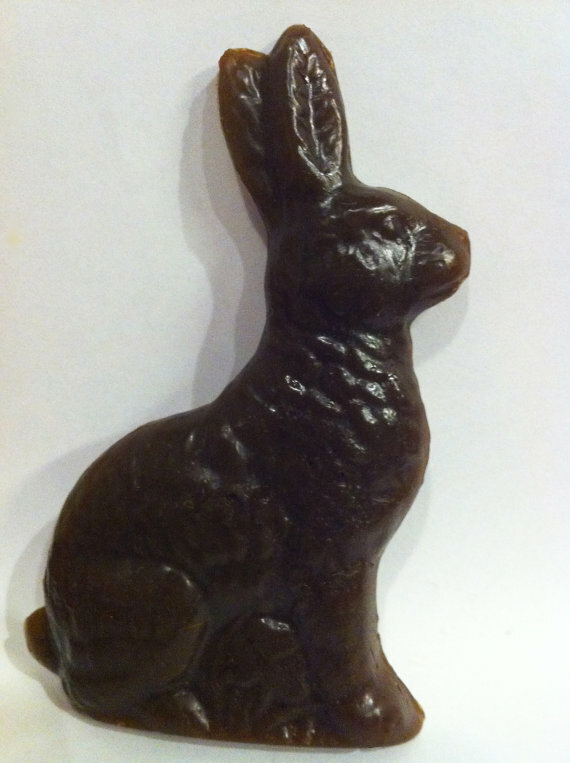 Everyone would have to wash up before dinner with the chocolate bunny soap. No calories :) Found on Bonbonbathhouse. I adore this place setting from StoneGable The elegance of the table is not usually my style. I'm more of a casual place setter. But there's a part of me who longs to be an elegant table setter. If only I had the talent to make amazing cookies like these found on Ali Bee's Bake Shop . I'm swooning over the cuteness of that bunny in the basket. Do you have family in town for Easter? Having an egg hunt? Serving dinner? I'd love to hear all about your Easter. So leave me a comment and tell me all about it.